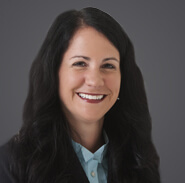 As a member of the firm’s Background Checks Practice Group, Jennifer offers practical, real-world advice on analyzing, drafting, and implementing valid background check authorization and disclosure forms, pre-adverse and adverse action letters, background check processes and procedures, and other background-check-related documents and communications. Leveraging her experience for one of the country’s largest background check companies, Jennifer provides client consultation on employer background check processes, including best practices related to the federal Fair Credit Reporting Act, state and local background check laws and regulations, and Title VII/EEOC Guidance. She has experience analyzing and creating effective, efficient and compliant background check programs for clients with centralized and decentralized recruitment and onboarding processes. Prior to joining Ogletree Deakins, Jennifer served as an SVP of HR and Client Relations for one of the country’s largest background check companies. In that role, she gained deep experience in the background check industry, from both the background check provider side and the employer/end user side. She managed the company’s client relations team (65+ members) and was responsible for compliance, stability, and business growth. In her various business roles over the course of a decade, Jennifer has honed business advice skills on a range of employment-related issues – from recruitment to investigations to terminations. She also has deep experience in the total life cycle of employee engagement. August 7, 2018 - Law360 - "'Ban The Box' Turns 20: Decoding The Current Framework"
December 15, 2016 - NAPBS - "California Law Restricts Employers From Asking About Juvenile Criminal History"
February 27, 2019 - XpertHR - "Employer Ensnared by 9th Circuit's FCRA Ruling"
Westchester County, New York, which is located on the outskirts of the New York City metropolitan area, has enacted a ban-the-box law that places limits on an employer’s ability to make preemployment inquiries into and statements about a job applicant’s criminal history.